We sell more Encompass Nutrients in our office than any other product. We love their products and how much they benefit our customers, but we also love their mission of giving hope to orphans by giving 80% of their profits! This past weekend, they sponsored a big bike ride. Not big in number of participants, but in how many miles they rode. Read more about it here! If you followed our blog last year, you probably know about the Tough Mudder team we sponsored that competed in the World’s Toughest Mudder held in New Jersey in November. However, you probably don’t know the whole story! Watch this video to learn more about how they decided to do it to begin with, challenges along the way, and how they impacted the lives of 10 young girls. Encompass Nutrients Proves to be the Best! We have been offering our patients Encompass Nutrients for over two months now. WOW what great results! We never have had a product in our office’s 28 years of existence that has had this much impact. Most of my staff have started taking it because of our patient’s results! We can’t wait until July when the infant and kids products are supposed to be available! Stop into any of our three locations to try some out or go on line and order directly at www.encompassnutrients.com. We are proud to announce that we are carrying Encompass Nutrients in all three of our CCWC locations (Lagrange office to open on April 15th)! If you have never quite known what dietary supplements to take, because there are so many products out there, then look no further! There seems to be an endless amount of supplements available these days. You could literally spend hundreds of dollars every month to try to give your body the nutrition it needs in order to fill in the gaps of your diet. Some of the major or more popular ones are multivitamins, probiotics, fish oil, and super greens. If you’ve ever wondered to yourself, “why doesn’t someone just make one pill that has all of that in it”, you would’t be the first. However, it’s about time one company finally did something about it! 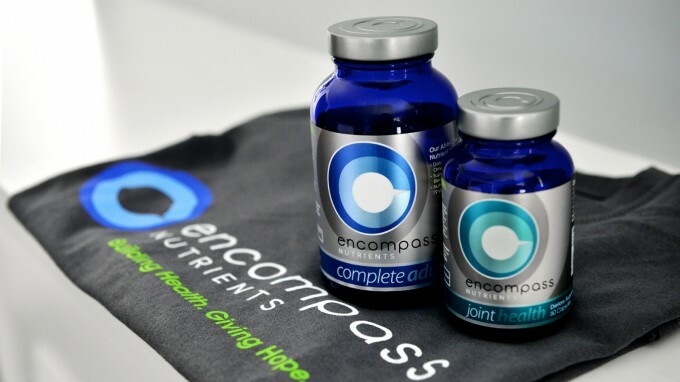 Encompass Nutrients is a new company that decided to ahead and simplify the dietary supplement market with what they call an “All-in-One Nutrient”. They have combined 19 vitamins & minerals, probiotic, Omega-3 fish oil, and their own proprietary blend of Super Green Whole Foods. Their product is called Complete Adult, and Dr. Holley in our Millersburg office says “It’s going to change the way we prescribe nutrients!” They have also developed a Joint formula which is meant to be a companion to Complete Adult. Together, they make quite the pair, and Dr. Waggoner believes so strongly in it that he prescribes it to every patient of his over the age of 15! It’s beneficial for everyone, and you’ll not only feel better physically, but also knowing that you are saving time and money! A two month supply of Complete Adult only runs $35 and Joint Health only runs $20 for a two month supply as well. But wait! There’s actually even more good news. Encompass has not only provided us with an amazing product to offer our patients, but they also have an awesome mission! 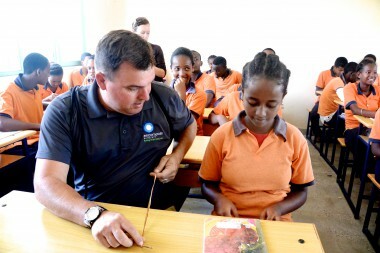 They are committed to giving 80% of their profits to care for orphans around the world! So, you’re not only improving your wellness, but you’re also taking part in giving back to a great cause! That’s why their tag line is, “Building Health. Giving Hope.” They exist for a great purpose. What are you waiting for?! You can either stop in to any of our offices to pick up your Encompass Nutrients or purchase directly from their website. We believe so much in what they are doing, we really don’t care if you buy from them directly or from us. Everybody wins!